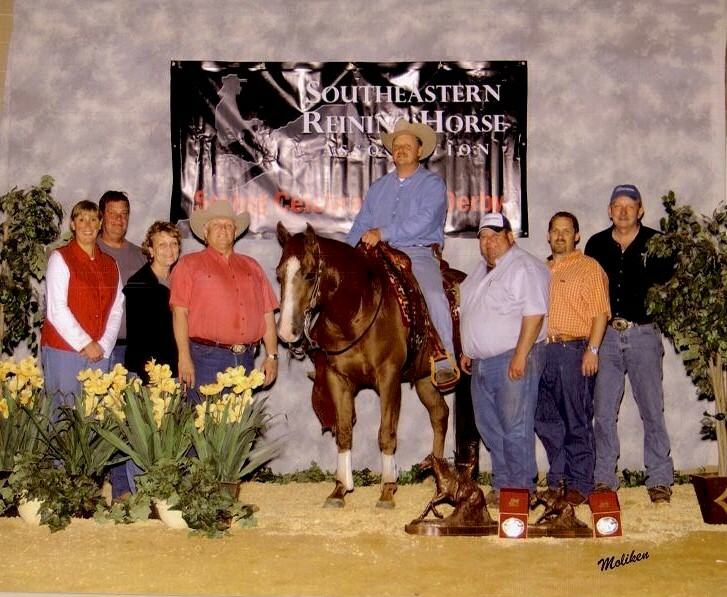 Dutch Chapman and his customers and trainers are always very successful in the showring. !! These are some recent victories by some of his clients. 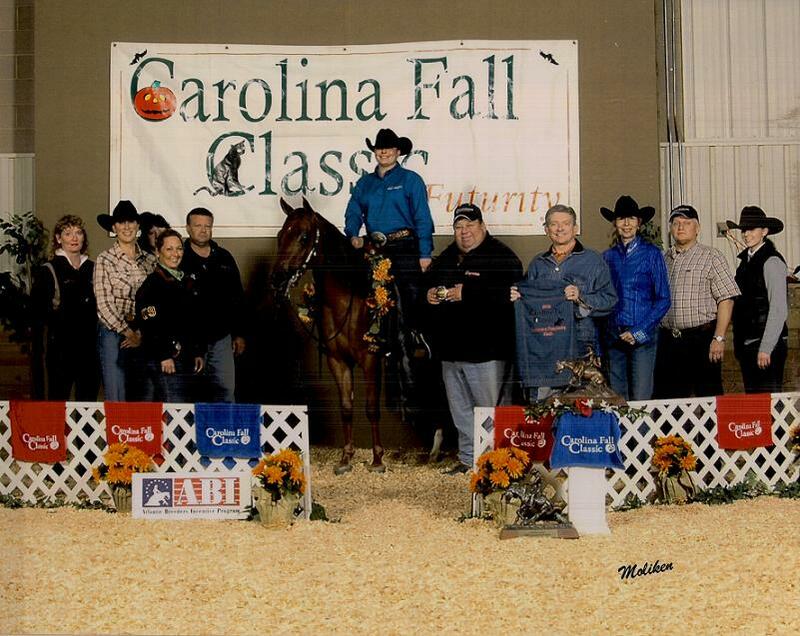 The Carolina Fall Classic Futurity and ABI. 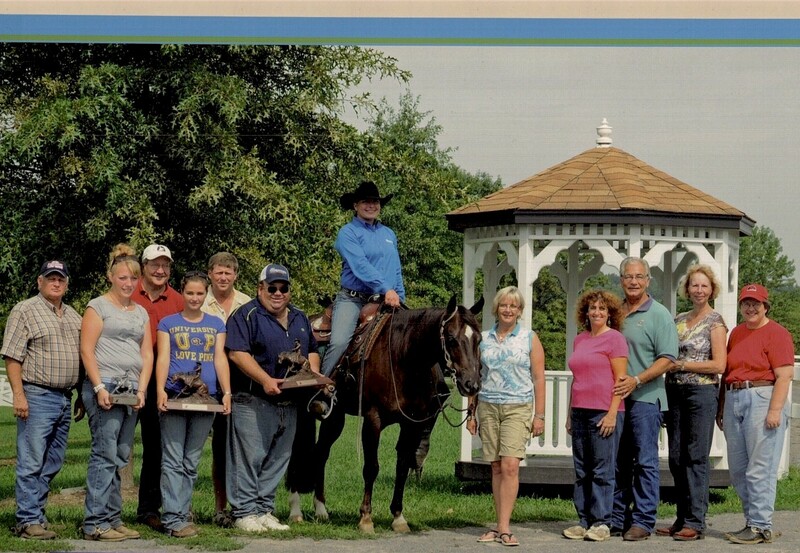 CONGRATULATIONS Martina Morell and Chics Whizdom Level 2 Champion at EPRHA's Fall Spooktacular-High Hope Farm Derby. 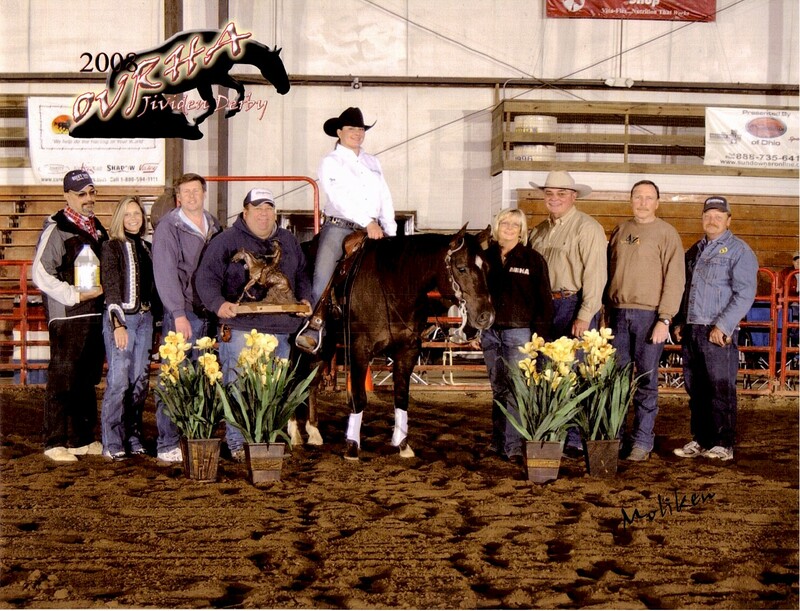 CONGRATULATIONS Martina Morell and Chics Whizdom Reserve Champion in the Ladies Reining, score of 217, and Top Ten in the Novice Horse at The All American Quarter Horse Congress. 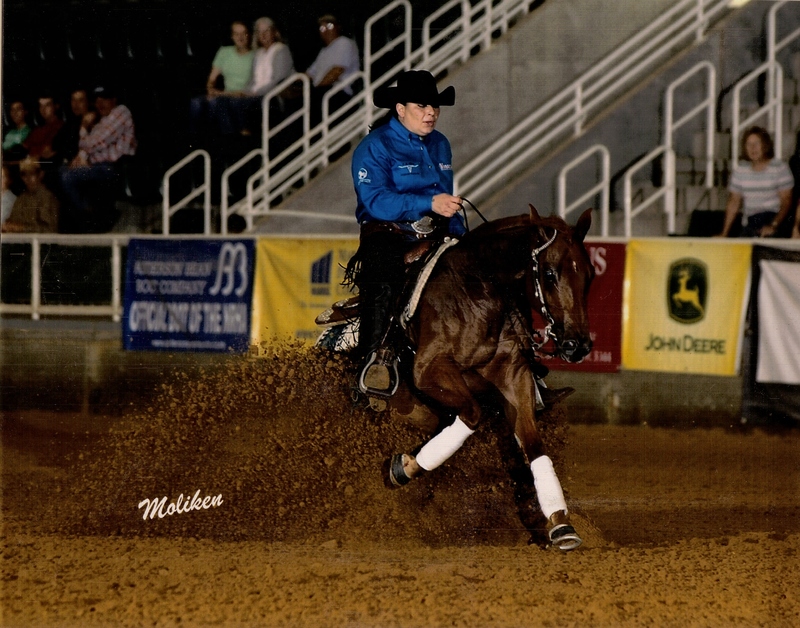 CONGRATULATIONS Martina Morell and Mifter Clean Top Ten in the Senior Reining at The All American Quarter Horse Congress. 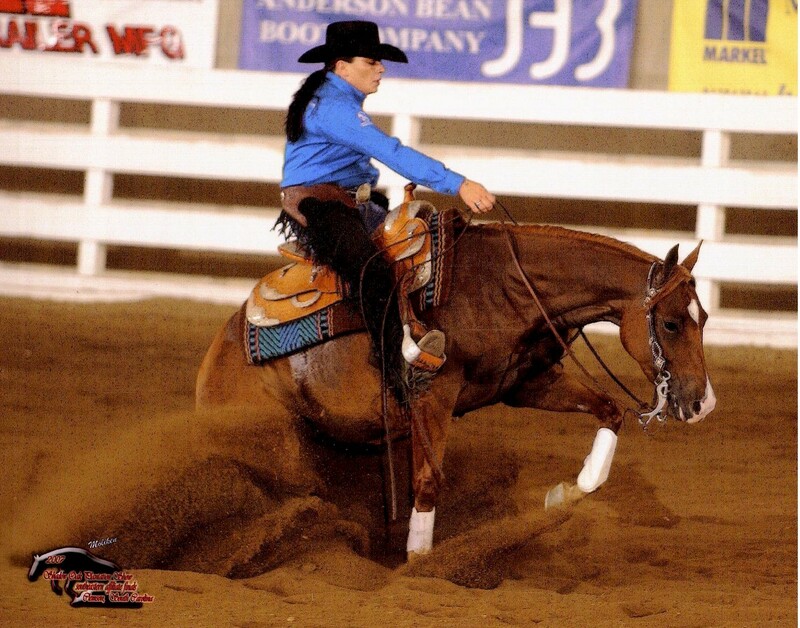 CONGRATULATIONS Martina Morell and A Shack Attack Finalist in the Intermediate Open at The All American Quarter Horse Congress. 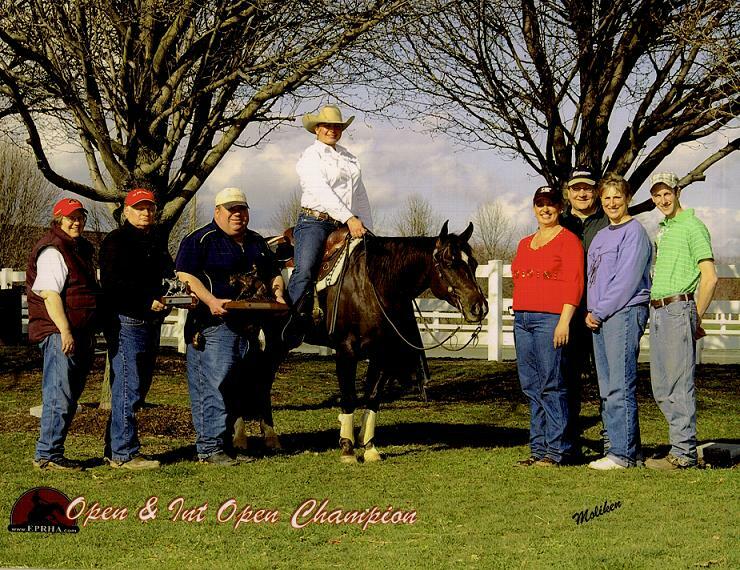 CONGRATULATIONS Martina Morell and Whiz Bang Spark, Champion at the EPRHA Santa Hill Ranch Furturity, Level 2 Limited Open, score of 219. CONGRATULATIONS Martina Morell and Lenas Noble Prize Open and Int. Open Champion at the Spring Celebration of NJ. CONGRATULATIONS Martina Morell and Lena's Noble Prize Co-Champion in the Open and Int. Open, Champion Ltd. Open at the NJ show. CONGRATULATIONS Martina Morell and Rufolena Champion and Lena's Noble Prize Reserve Champion in the Limited-Open Santa Hill Ranch Derby at the Firecracker Classic, Shartlesville, PA.
CONGRATULATIONS Martina Morell and Lena's Noble Prize and owners Rich and Leigh Garber at the OVRHA Clark-Jividen Derby in Jackson, OH. 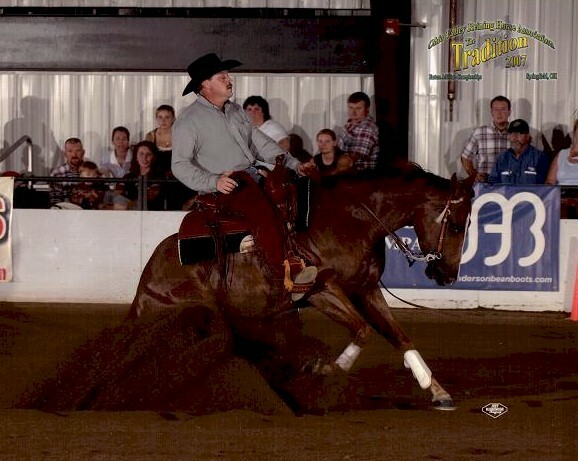 Limited Open Derby Champion, recieving a score of 146. CONGRATULATIONS Holly Bray and Cutter Senbar. 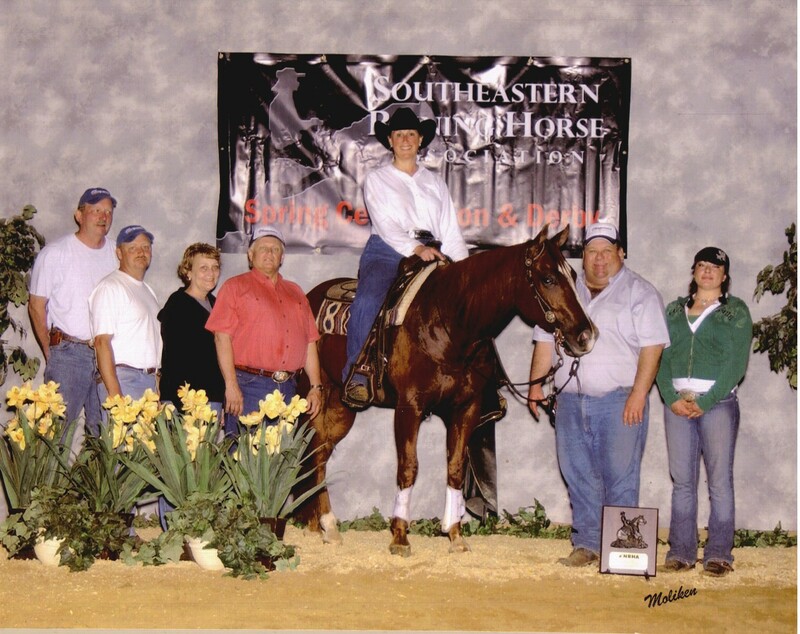 First Place 2008 SERHA-Spring Celebration-Rookie. CONGRATULATIONS Jeff Kirkbride and KR Hickory Hurricane. 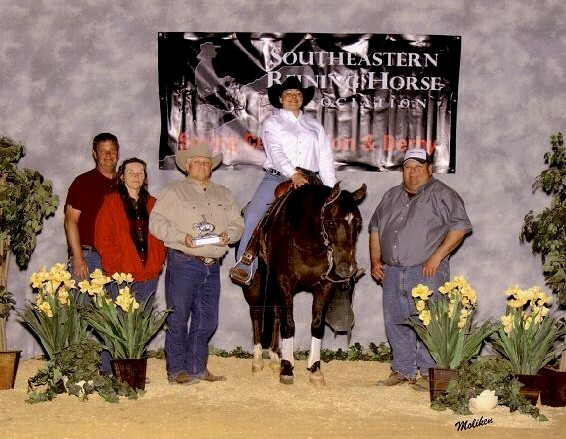 First Place 2008 SERHA-Spring Celebration-Non Pro and Int. Non Pro Derby. 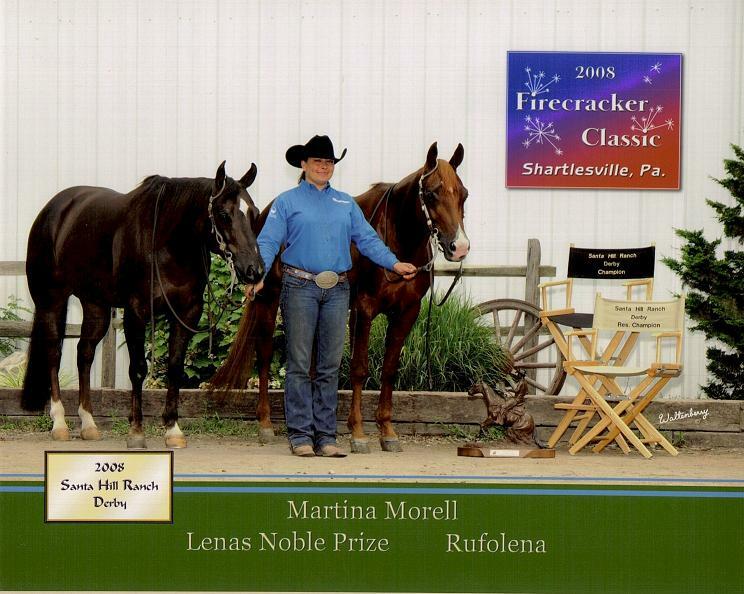 CONGRATULATIONS Martina Morrell and Rufolena. CONGRATULATIONS Martina Morrell and Lena's Noble Prize. 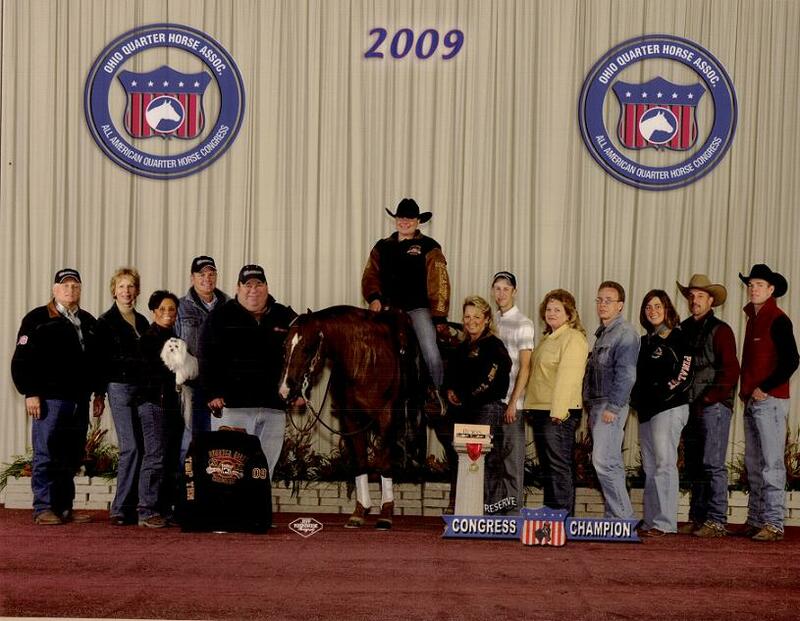 Sixth Place 2007 NRHA Int. 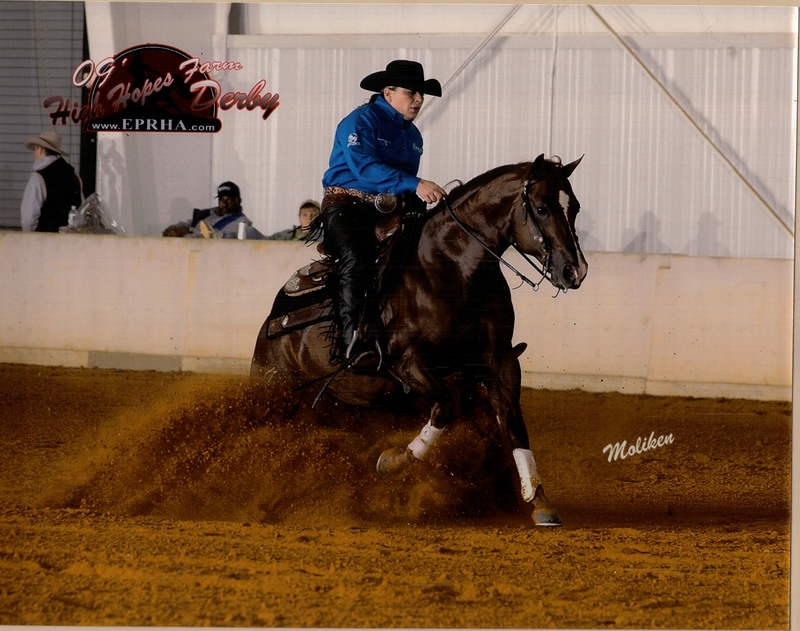 Non-Pro Futurity!! CONGRATULATIONS Martina Morrel and Rufolena. 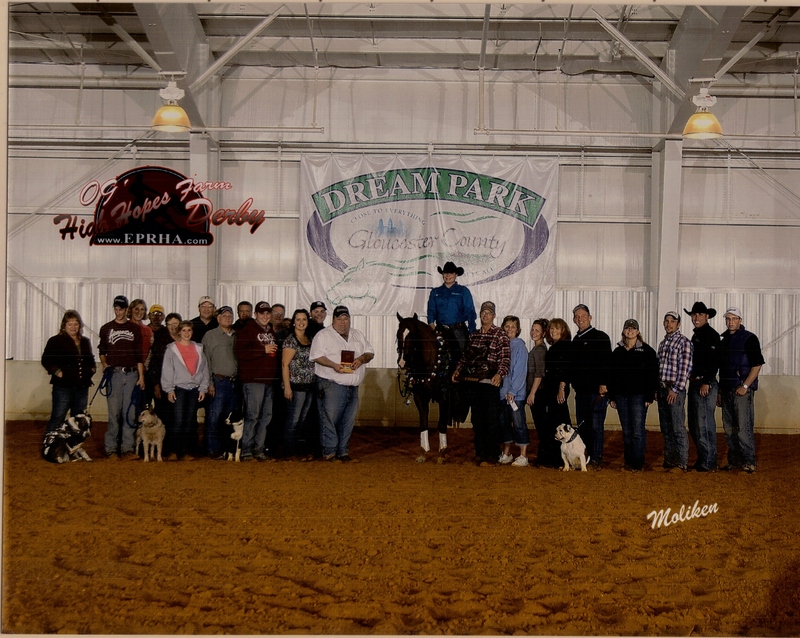 Fourth Place Congress Limited Open Futurity!! CONGRATULATIONS Dutch Chapman and Cutter Senbar. 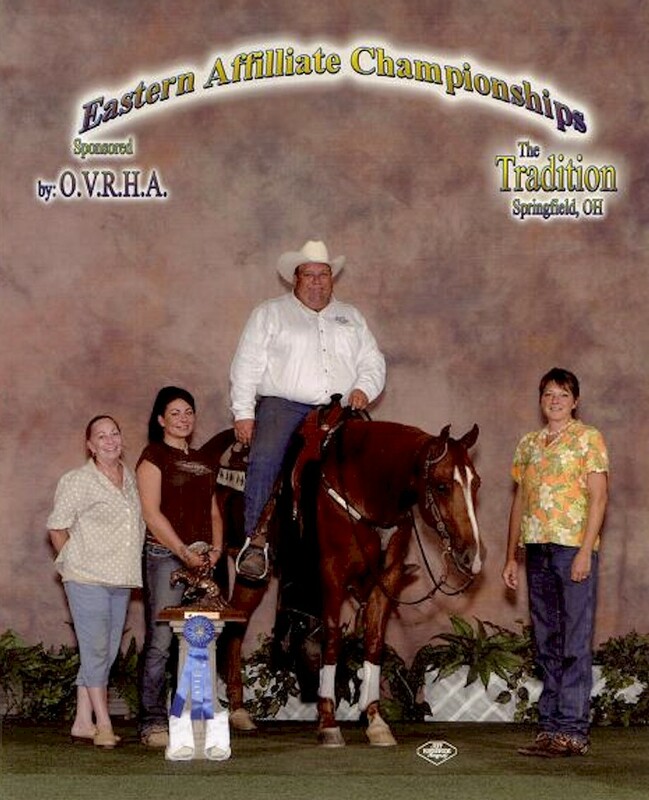 Open Novice Horse Champion, Eastern Affiliate Championships!! CONGRATULATIONS Jeff Kirkbride on KR Hickory Hurricane. Int. 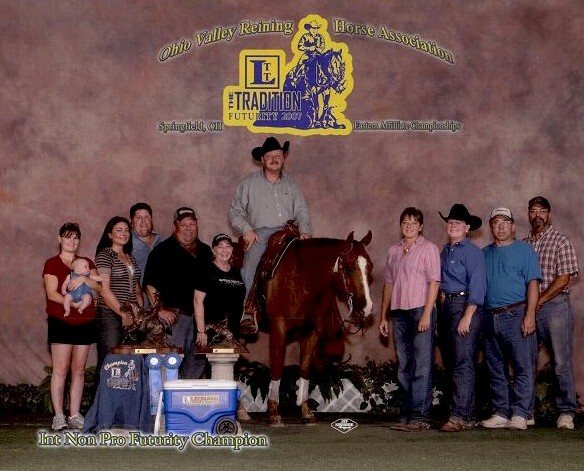 Non-Pro Futurity Champion, Eastern Affiliate Championships! !